1. Pick the topics you want to feature. Are you a travel blogger? You probably have highlights from different cities or countries you've visited - these could be great sorted into different Highlights so visitors can browse through whichever destinations interest them. Or maybe you want to separate your Highlights into categories such as "Places", "Want To Go", "Blog updates", "Travel tips", etc. 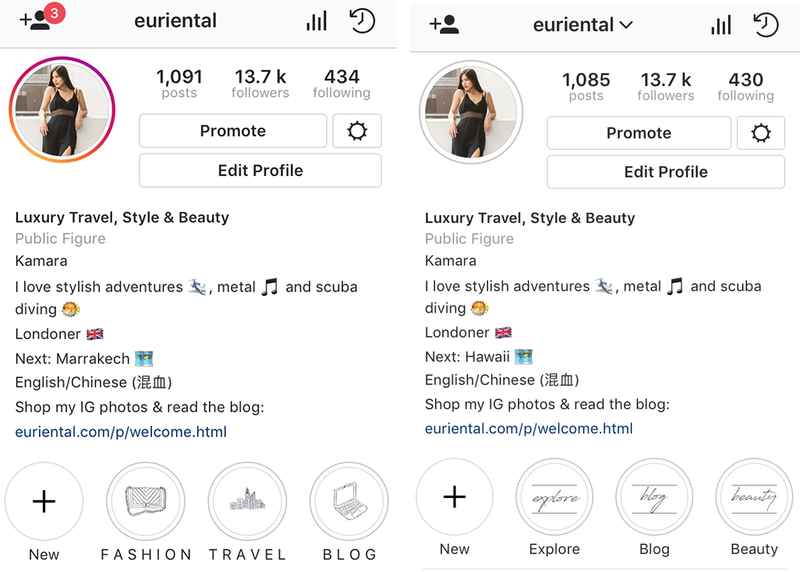 If you're a fashion 'grammer, you might want to have categories on your profile such as "My style", "Wishlist", "Shopping", "Beauty" and so on. Think about the topics you feature often on your Stories and what might work well as its own category! 2. You can either create your own covers using a programme such as Photoshop or Canva, or find some that suit your topics and the style of your profile, such as these. 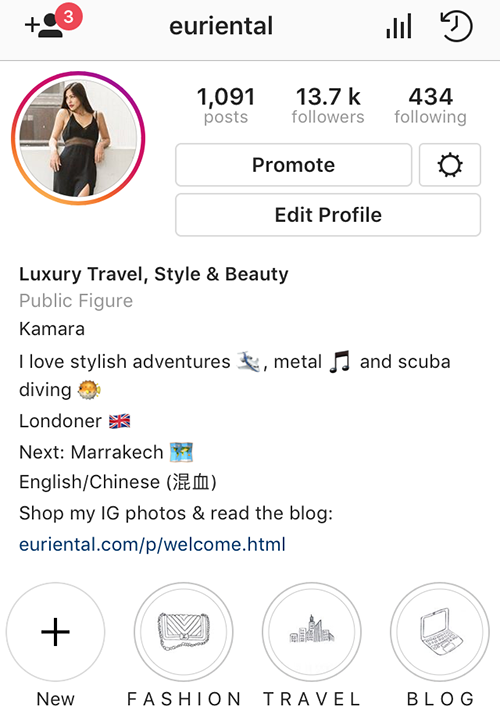 Make sure the size is optimised for Instagram Stories, usually something like 1100 by 2000 pixels. 3. 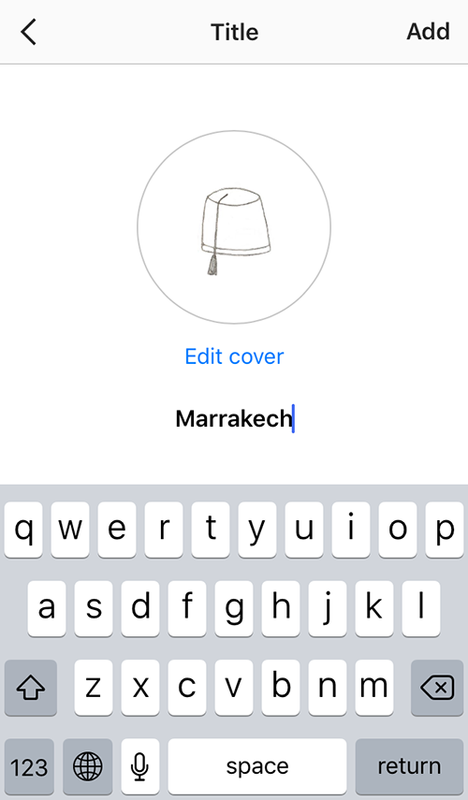 Upload your covers to your Instagram Stories, one by one. 4. Go to your profile and click where it says "new". 5. 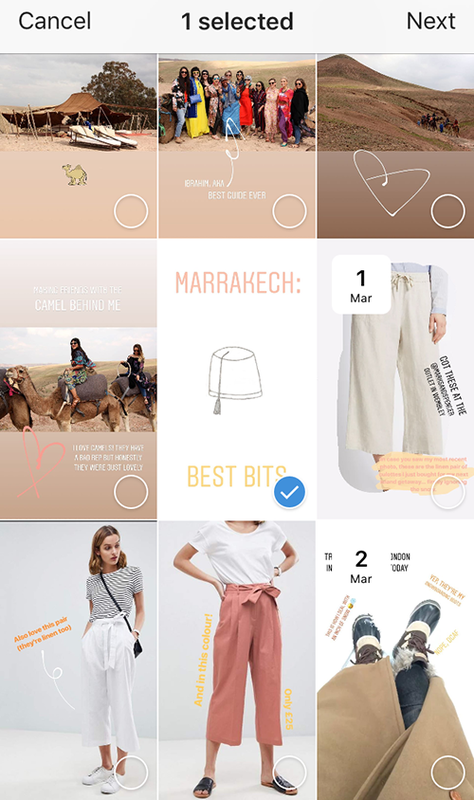 Pick the highlight cover you want to use from all the Instagram Stories that show up, and click "Next" in the top right corner. 6. Enter your Highlights title. Then click "Edit cover" to position your text or image in the middle of the circle and click "Add" in the top right corner. Looking to get your own Instagram Highlights covers like these? 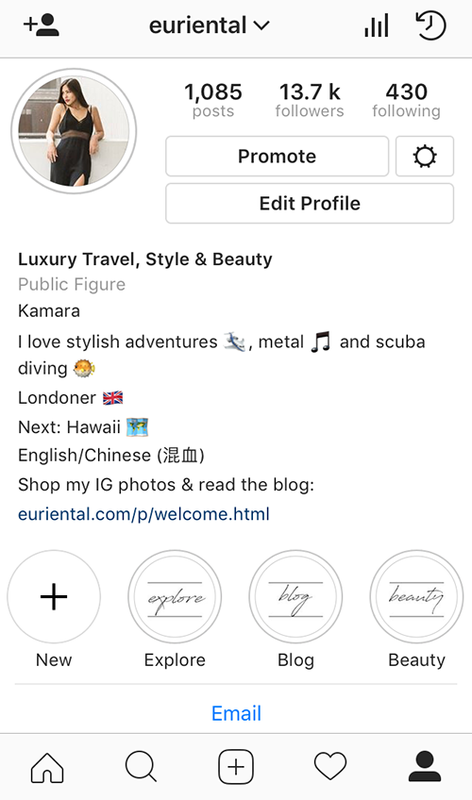 I've released a selection of original Instagram Highlight Covers for you to use if you don't have the time or aren't sure how to create your own! Choose from different fonts, background colours, and even hand drawn, original icons to represent your Highlight covers - and grab them either as a bundle with plenty of options to choose from, or buy them individually according to your needs. GET YOUR INSTAGRAM HIGHLIGHT COVERS HERE.